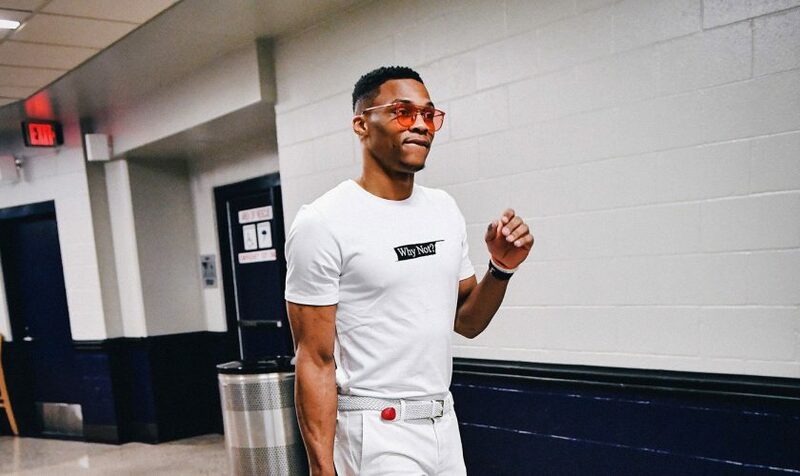 Nba OKC Thunder point guard Russell Westbrook was photographed arriving for against the Golden State Warriors. 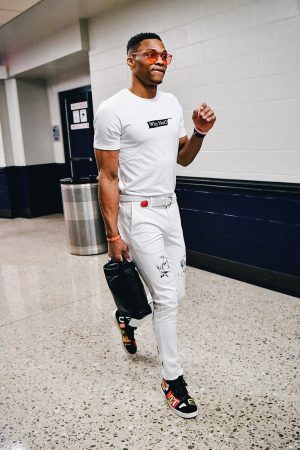 He is wearing his “Brodie” exclusive Jordan Westbrook 0.2 Why Not PE sneakers. 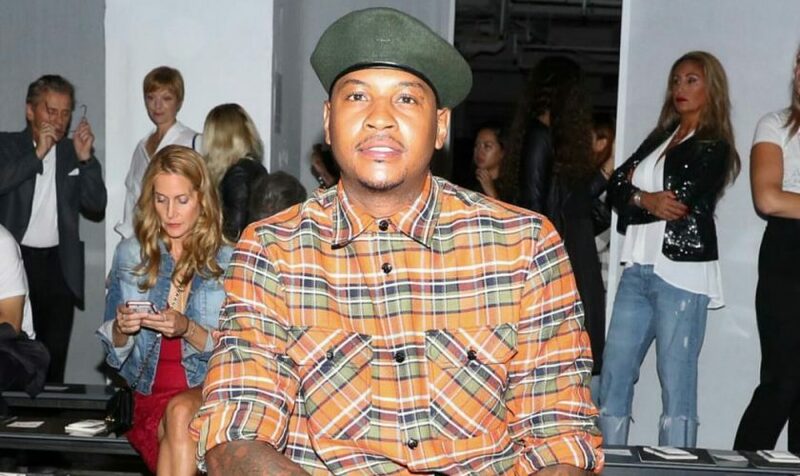 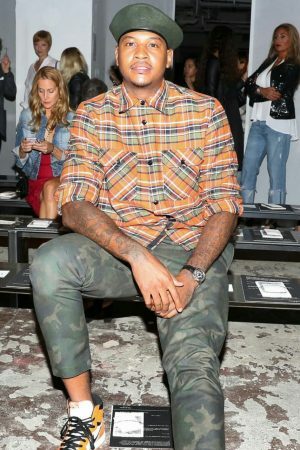 NBA star Carmelo Anthony was in attendance front row for Rag & Bone’s New York Fashion Week SS’17 presentation. 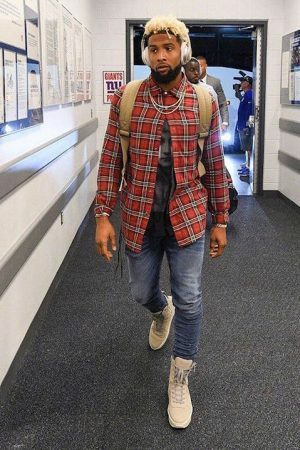 He is wearing a Rag & Bone hudson plaid shirt, and a pair of $375 Rag & Bone Everett camo pants, which he styled with a pair of Air Jordan 1 sneakers, along with a French Beret. 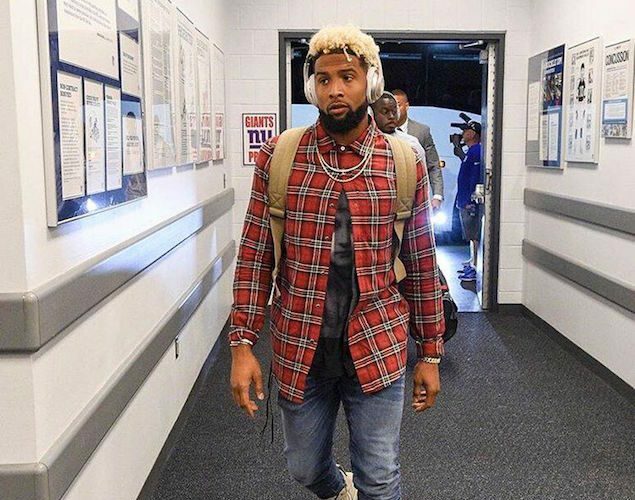 Odell Beckham Jr. was photographed at the first game of the season rocking a long sleeve red Amiri plaid shirt (Buy it) styled with a black Givenchy madonna print tee along with a pair of Amiri Stack jeans (Shop now) and Fear of God military sneakers.